Conquest 100 is a light, portable device that provides a fast, non-invasive method to gain accurate insights of objects below the surface, even on a curved surface or column. 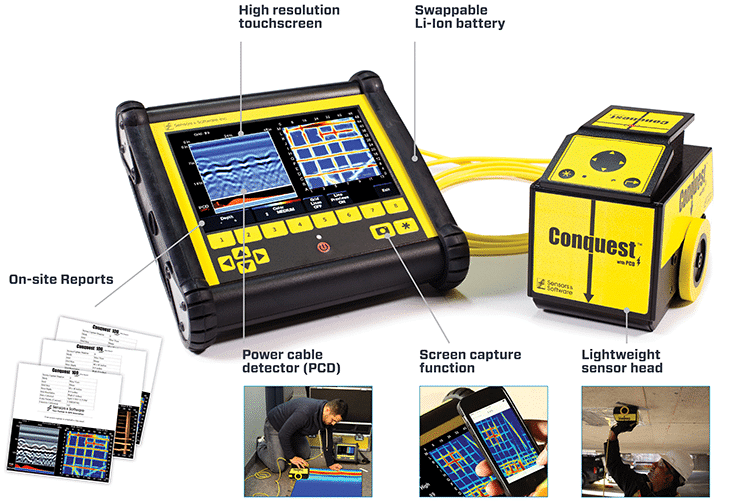 Conquest 100 reduces risk by detecting rebar, post-tension cables, metallic and non-metallic conduits as well as current-carrying wires embedded in concrete. Once your scan is complete, Conquest 100 connects to your mobile device, allowing you to email information directly from the field. Back in the office view your data and make client-ready reports in minutes. Locate rebar, post-tension cables, metallic and non-metallic conduits embedded in concrete. Create detailed scans of concrete floors, decks, columns, walls and ceilings to detect embedded objects before cutting or coring. 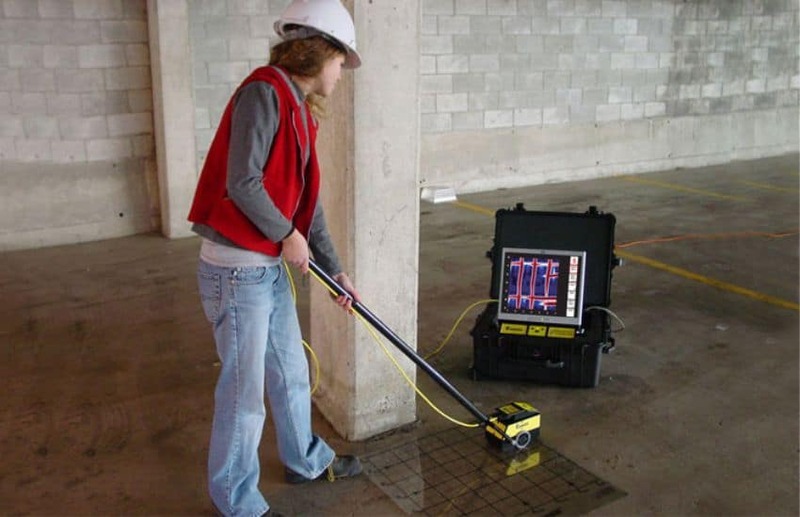 Detect voids beneath slab-on-grade. Locate and map current carrying wires using Power Cable Detector (PCD) technology.